Bennion Kearny is a leading publisher of Sport Psychology books. Looking to cover and assist a wide range of disciplines and readers, our books are of value from novice through to expert level. 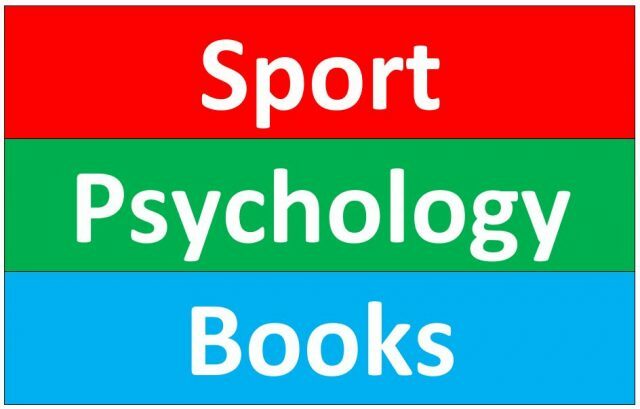 But what exactly is sport psychology? Sport psychology is a growing discipline, and integral to peak performance in a multitude of events. Each technique can be learnt by adhering to general guiding principles, however the most effective techniques are tailored to meet athletes’ specific performance needs. What’s most important is how an athlete uses each technique to ensure effectiveness. The process of developing a set of mental techniques individualised to each athlete’s circumstances is a primary goal of applied sport psychology. Realising potential benefits from a psychological skills training programme requires dedication. The training of psychological skills is synonymous with the development of any other skill; it requires systematic, deliberate, and repetitive practice. There is no magic to sport psychology, no pill that promises mental toughness, no short cuts. To benefit from a psychological skills training programme athletes need to commit time and effort to practicing mental techniques. Practice may involve setting different types of goals, imaging accomplished performances, coaching oneself through repetition of key self-talk phrases, or meditation. But whatever the content of these mental practice sessions, it is through consistent repetitive application in training and competition that makes it likely to reap the greatest benefits when it comes to performance outcomes. For any psychological skills training programme, an applied sport psychologist will monitor how effective the programme has been in meeting an athlete’s performance goals. If an athlete sought confidence, the sport psychologist will evaluate how well each mental technique (or combination thereof) was in being able to enhance their self-belief. A comprehensive evaluation will also focus on the interpersonal skills of the sport psychologist themselves. Often it is not the mental techniques that make the most impact, but it is the consultant with whom an athlete is working with. If a positive professional relationship fails to become established, then the potential effectiveness of a psychological skills training programme is likely to be doomed before it has begun. In a nutshell, behind the vast majority of effective psychological skills training programmes is a well-established working alliance between the athlete and applied sport psychology consultant. 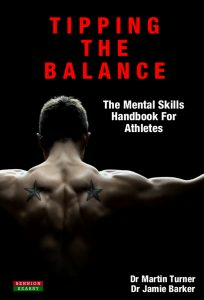 Tipping The Balance: The Mental Skills Handbook For Athletes [Sport Psychology Series] by Martin Turner and Jamie Barker is a book aimed at athletes of all levels and all sports. It systematically explains many of the techniques utilised by athletes across the globe to attain peak performance. It details the MAPP (Map to Achieving Peak Performance), practical exercises, and is a must-read addition to any serious athlete’s bookshelf. Soccer Tough: Simple Football Psychology Techniques to Improve Your Game by Dan Abrahams is the acclaimed world-wide bestseller aimed at footballers of all levels who want to become the best footballers they can be. Dan is in demand across the globe for his sport psychology input and his book is testament to his insights and ability to deliver a book that is highly practical, accessible and fun. 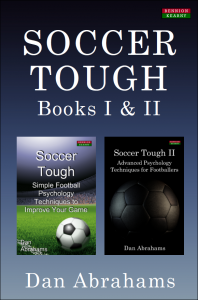 Soccer Tough I has more than 50 5-star reviews on Amazon.co.uk, and is one of the most acclaimed sport psychology books of recent years. 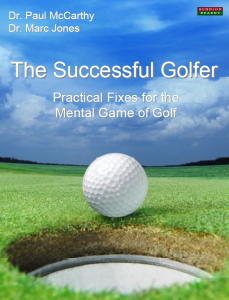 The Successful Golfer: Practical Fixes for the Mental Game of Golf by Paul McCarthy and Marc Jones is a unique and highly focused title comprised of three parts. The first part of the book examines 50 of the most common faults that golfers experience – then provides solutions!. They include issues with putting, reduced confidence, overthinking, the disconnect between practice and course play, and much more. Section 2 details research from 30 studies and assesses the implications for golfers. Section 3 provides practical advice on techniques such as building a pre-shot routine and goal setting. The lead author – Dr Paul McCarthy – is the first ever resident sport psychologist at St Andrews Academy. He and Dr Marc Jones know their stuff! Dan Abrahams is the Lead Psychologist for England Golf. 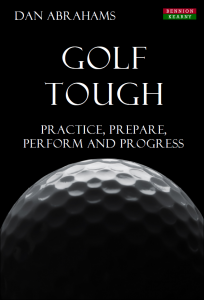 In Golf Tough: Practice, Prepare, Perform and Progress he offers a unique, highly practical, and quite dazzling vision of how to improve your golf mindset, lower your handicap, and win matches. If you have read the golf books from authors such as Bob Rotella, Joseph Parent, and Pia Nilsson – read this book and see how different this title is and why Golf Tough is gathering plaudits across the world from golfers of all levels. What Business Can Learn From Sport Psychology is a unique and acclaimed book by Dr Martin Turner and Dr Jamie Barker. It brings together the lessons, techniques and insights of elite sport and applies them to the business environment. It includes lessons on overthinking, choking, confidence, leadership and more. It details the MAPP for Success, practical exercises, and theory made accessible and real-world. Aside from these books, we also have more titles for cycling, cricket, business coaching, and soccer.